The second day of driving on our overland tour took us thought completely different ecosystems – actually, that is something pretty awesome so far. The first few days in Ivato and Antananarivo, there were plenty of coniferous trees (which surprised me) mixes with tropical plants. 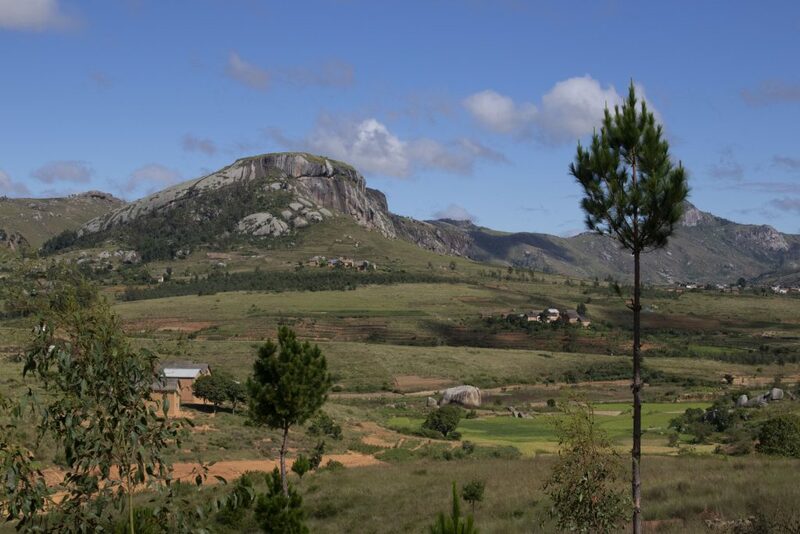 As we headed south, the coniferous trees vanished and were replaced with only deciduous trees, and then we went up on the grass plains where the main grazing areas are for zebu (the main cattle in Madagascar – and I’ll share some photos with them soon hopefully). But there are also these huge granite and sandstone formations that break up the horizon. At times it felt like being in Yosemite with El Capitan and Half Dome. An absolutely beautiful country. Stunning! Not at all what I imagined it looked like there. Seems to be very diverse. Keep the beautiful pics and stories coming ~ loving the vicarious trip!